In addition to your usual, thoughtful informal methods for recognizing and rewarding employees, are you interested in creating a more formal program? Formal recognition programs require more structure, communication, criteria, consistency, and fairness than informal methods of employee recognition. make sure that everyone receives recognition for an action or behavior frequently. Keep these characteristics of effective informal recognition in mind as you set up your formal program. But, you do need to treat formal recognition processes differently than the recognition you provide through your daily interaction with employees. Formal recognition programs are often created when an organization wants to improve specific activities or behaviors. With a formal program, the desired improvement is recognized and rewarded. These are examples of formal programs you might offer your employees. a monetary award for attendance. In a formal recognition program, criteria are important so that employees know exactly what change or improvement you seek. So are additional factors that make a formal program achieve its purpose. These are the components that must be present for the program to achieve its goals and avoid making employees upset and demotivated. First, establish criteria for what constitutes performance that is worthy of an award. If the actions and behaviors requested are not measurable, verbally describe the desired outcomes in word pictures that are so clearly described that employees can share meaning with you on them. Where possible make the criteria measurable. But don’t let your desire to measure cause you to pick a measurement that is not related to the key behavior you want to encourage. Sometimes what you most want from an employee is not measurable. Second, all employees who do the same job, or who work for the company, depending on the nature of the award, must be eligible for the recognition. If a manager is ineligible, all managers must be ineligible, for example. 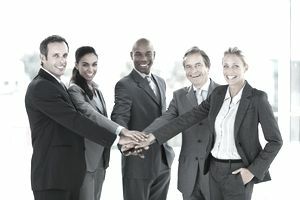 It is not in the best interests of your overall company goals and culture if one or two departments offer a formal recognition program that leaves others out if they are doing similar work. Third, the method of recognition must inform the employee about exactly what he or she did to merit the recognition. Your goal is to encourage more of that behavior from your staff, so sharing the recognition publicly is good practice. Fourth, anyone who performs at the level stated in the criteria should receive the reward. If you want to limit the recognition to one employee, select a fair method for deciding which qualifying employee will be rewarded. For example, if 20 employees meet the criteria, place all qualified names in a drawing. Do not make the mistake of allowing a manager to pick the winner from the people who qualified. It changes the nature of the recognition program and leaves it open to charges of teacher’s favorite and brown nosing, practices that negatively impact the morale of most employees. You can’t change the program midway into the covered time period either. For example, you realize that you have 50 employees who have met all of the criteria for this week’s reward. You need to follow through, as promised, and award all 50 if that was the program. You can introduce the idea of a drawing for the next week’s award. But, employees who work to exhibit the behavior requested need to know in advance how you will handle the award. In one mid-sized company, 37 employees qualified for a $50.00 check for doing something above and beyond for a coworker. The formal recognition committee recognized they were going to give away their annual budget in just a few weeks so they examined their criteria for awarding the check and increased the difficulty. They also implemented a drawing with the concurrence of the employees who were clear about the budgetary constraints. Sixth, you need to accompany the formal recognition with an official letter or a handwritten note that reminds the employee why he or she received the award in detail. Employees cherish these notes forever. When the money is spent and the food treat has been eaten, you have given them something substantive to remind them that they were recognized and rewarded. Here’s more about how to approach formal recognition.